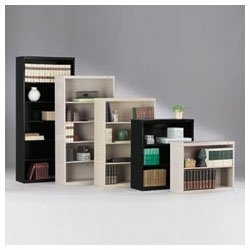 This 4-shelf bookcase is an attractive and practical answer to your storage needs. This bookcase is perfect for home or office for its modern lines, glass shelves, and a sturdy frame. 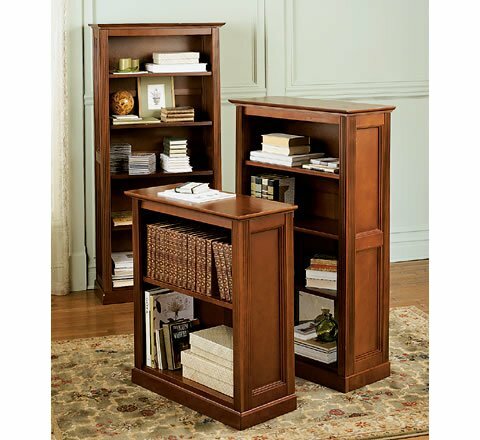 Get your home or office organized today with this handsome metal and glass book case. 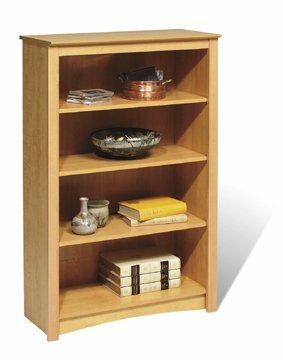 Size: 24" x 12.25" x 39.25"
The 4 tier shelf is perfect for the bathroom or the living room. The tempered glass shelves are laid into the wood frame to give a seamless look. 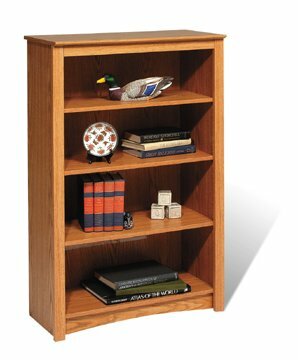 This wood shelving unit is great for displaying decorative items. Two adjustable shelves. Shpg. wt. 58 lbs. 75"H x 36.5"W x 12"D.